A few days ago, we showed you a tweet from a Twitter user with the handle @laobaiTD. 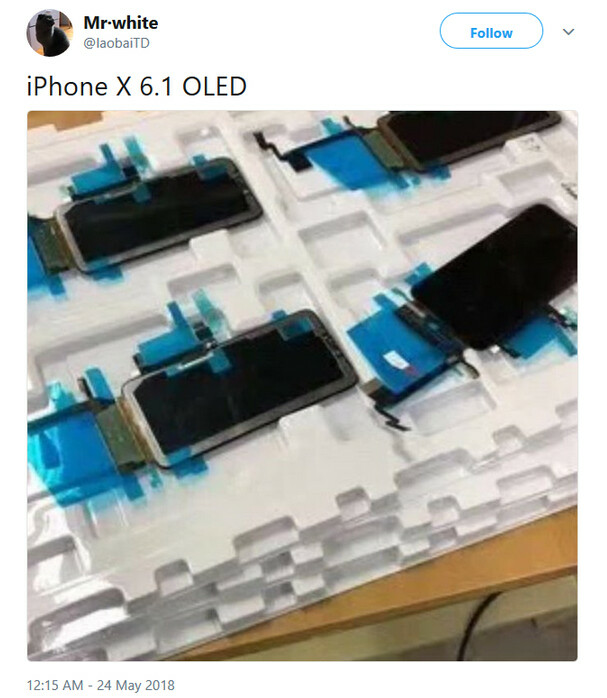 Included with that tweet was a photo allegedly showing the 6.1-inch Apple iPhone 9 with OLED panels instead of LCD. As we pointed out in the article, no less than former KGI Securities Apple analyst Ming-Chi Kuo had revealed earlier this year that Apple would include a lower-priced 6.1-inch iPhone 9 with its 2018 releases. This model would have a single camera on back, no 3D Touch (due to a special layer placed on the screen) but would still feature an edge-to-edge display, the TrueDepth Camera, and Face ID. The buzz around the water cooler suggested that Apple wanted to sell this model for $550. Well, it appears that there might be more truth to this story than originally thought. South Korea's Economic Times said today that Apple has indeed decided on using OLED panels on all three of its 2018 iPhone models. Besides the iPhone 9, we expect to see a sequel to the iPhone X with a 5.8-inch OLED screen; this would be the iPhone Xs. Then, there is the iPhone Xs Plus with a massive 6.5-inch OLED display. Investors in Japan seem to believe the report. 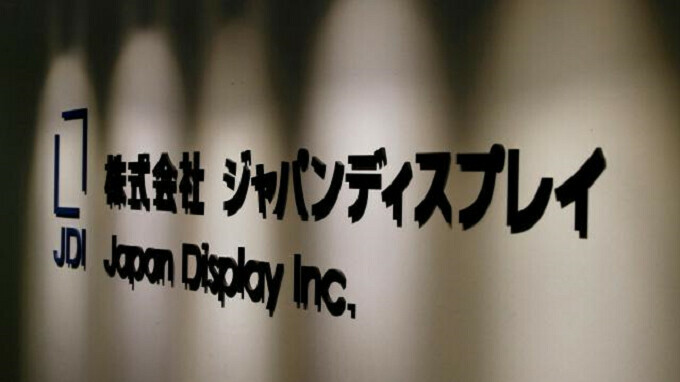 One of the main sources of the LCD glass used by Apple for its iPhone (not including the iPhone X and its OLED screen) is Japan Display. In Tokyo on Monday, the company's shares plunged as much 20% on the report before rebounding. If all three new iPhone handsets for 2018 feature an OLED screen, Japan Display will end up selling fewer panels to Apple, which is something that its stockholders would not be happy to see. So Apple hires engineers and scientists for what reason? To design things for others to build for them. Apple doesn't make anything themselves, they only design products. OLED Display is not designed by Apple, however, they designed the notch and display drivers. So Apple would hire a Ph.D chemist to design what? Or Ph.D in physics, applied mathematics, etc. Why would those credentials be needed for design? Apple realizes if they go with an LCD display now. Then it will be harder to ask for more money if the display is only LCD. Apple is all about perception and looks, and how they can get the most money. The thing is Apple pretends that OLED displays cost so much more, but let's get one thing clear OLED is more, but it wasn't $300 more over an iPhone 8. And it certainly wasn't $200 more than an iPhone 8 plus. Apple even drove the iPhone 8 and 8 plus up by $50 for basically the same thing. Next week report, two iPhones will come with lcd. What will happen to the price? HahahahaaaaaThey try not to mention samsung in Apple articles, but when the news is about samsung they do not waste time and mention their favorite fan boy brand. Hope they won't jack up the prices. Iphone 9, Iphone Xs, Iphone Xs Plus. How about iphone 9 plus ??? What about the SE 2 will that be OLED too? I still don't understand the screen sizes. The cheaper iPhone will carry a 6.1 inch screen while the more expensive, highend model will come in 5.8? The Plus will obviously be much larger and more expensive but this cheaper model would likely eat into the regular Xs sales. Why would they do that? Guys...the report is talking about 2019's iPhones, not this year's. Samsung probably offered them a good deal after they are stuck with millions of unsold OLED panels from the iPhone X, to which Apple halved the orders as per earlier articles. it's funny that phonearena haven't fixed this news, the source clearly talking about 2019, not 2018. 6.5 inch, here I come. OLED, split view, picture in picture, bring it on. My friend working for Samsung Display confirmed: 5.85" and 6.46". No 6.1" OLED! But OLED pentile displays reduce effective resolution producing text that is less crisp than equivalent LCDs. A retrograde step.